When we last visited, I confessed that I kept very few drugs at home and many that we did have are out of date. I am setting a bad example, but we are usually pretty healthy. When my wife recently came down with a cold and earache, our home medicines included the dog’s ear drops and some stool softener. Sometimes you just have to do the best you can. On my way home I stopped at a chain drug store and bought some diphenhydramine and pseudoephedrine, two of my favorite medications, the first for a runny nose and the second for a stuffy nose. I put in a plug for Vick’s Vaporub, because it was my wife’s traditional family remedy. The wife’s cold extended into its second week. A John Kinsella (author of Field of Dreams) short story in his book The Alligator Report starts with a fictitious bible verse; Luke 7:43 “All suffering is redemptive”. My wife did not read that story; she acknowledges no great purpose to suffering and she is not pleasant while doing so. We moved on to other medications, searching for the ultimate cure for her common cold. After Friday and Monday sick days off, my wife returned to work. She is a chemist who works at night making radiochemicals. It surprised me when she returned home with additional advice from work: so-and-so “said I should try Mucinex®”. Of course, I asked about her coworker’s formal training in pharmacotherapy, and there was none. The coworker had just personally experienced more cold medications than me, making her the authority on the subject. 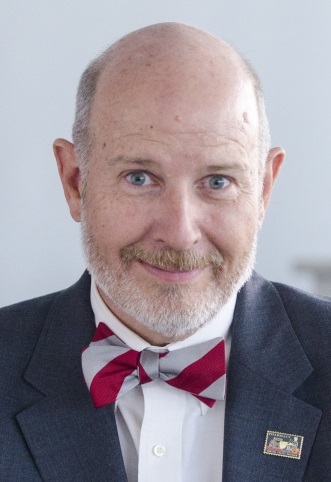 Pharmacist’s wives are no different from many other people who seek and rely on informal anecdotal advice from friends rather than seeking more authoritative recommendations. There’s also advice that is just downright wrong. I picked up some Nyquil® from a large discount retail store and was surprised when the cashier required identification. So I asked about how old one needs to be to buy Nyquil®; he said the ID check was because it contained a substance related to dangerous narcotics. That was just not correct. I like cold remedies based on guaifenesin, the active drug in Robitussin® and Mucinex® products. Guaifenesin helps the respiratory tract generate extra fluid which thins mucus and makes it easier to cough up. It’s just the thing for folks with a lot of chest congestion. Some of the Robitussin® and Mucinex® products contain other ingredients as well, like dextromethorphan – the DM in Robitussin® – a cough suppressant which can be helpful for patients who have “nonproductive” coughs; your coughs should feel as though they are clearing your breathing passages. One of my wife’s challenges, since she works at night, is sleeping during the day. After starting her guaifenesin/dextromethorphan, she found herself unable to sleep well and was asking about whether the medication would keep her awake; that would not be expected. She kept taking the medication and did sleep the next day, possibly just because she was so tired. Eventually we came upon the ultimate treatment for her cold symptoms. We met some of our kids for breakfast at the New York DeliNews, an authentic NY diner in South Denver. 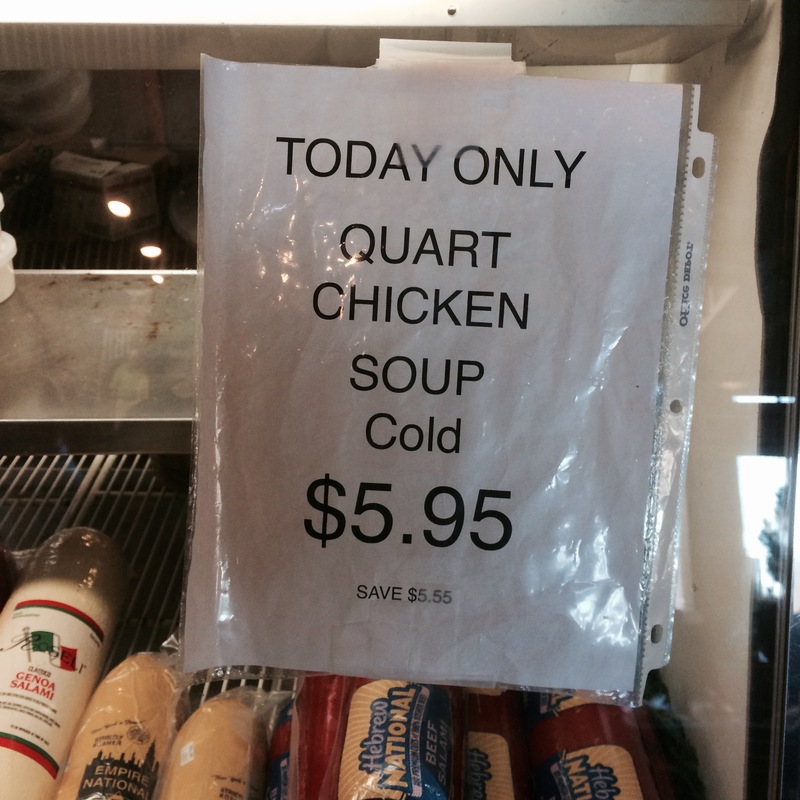 And there was the answer – Chicken Soup $5.95/quart. Why did we not think of that sooner?! My wife immediately knew that she wanted to try some. Her throat and cold symptoms resolved and when the symptoms returned a few days later, I returned to the NY DeliNews for some more chicken soup. There are many disease states – like high blood pressure and diabetes – for which medicines are prescribed based on established effectiveness. For other illnesses – like the common cold – medications are usually symptomatic, so if something makes you feel better then it’s probably a pretty good medicine for you. thinking about what you need for your symptoms and what is likely to help. For some patients with underlying diseases – like diabetes or hypertension or seizures – it’s a really good idea to consult with your physician or pharmacist before taking any nonprescription medications. Your pharmacist can help you stay out of trouble – some medicines can worsen your other medical issues while they’re helping your cold symptoms. And if you end up in line for some hot coffee or some chicken soup, that may be just the safe and effective remedy for you. Take care of yourself.